The Firestone Belt Axe is the ideal size for everyday carry. It has an overall length of 11" and a 5.5" axe head. The head is made from 440C stainless steel that comes in a matte gray finish with a mirror polished edge grind. 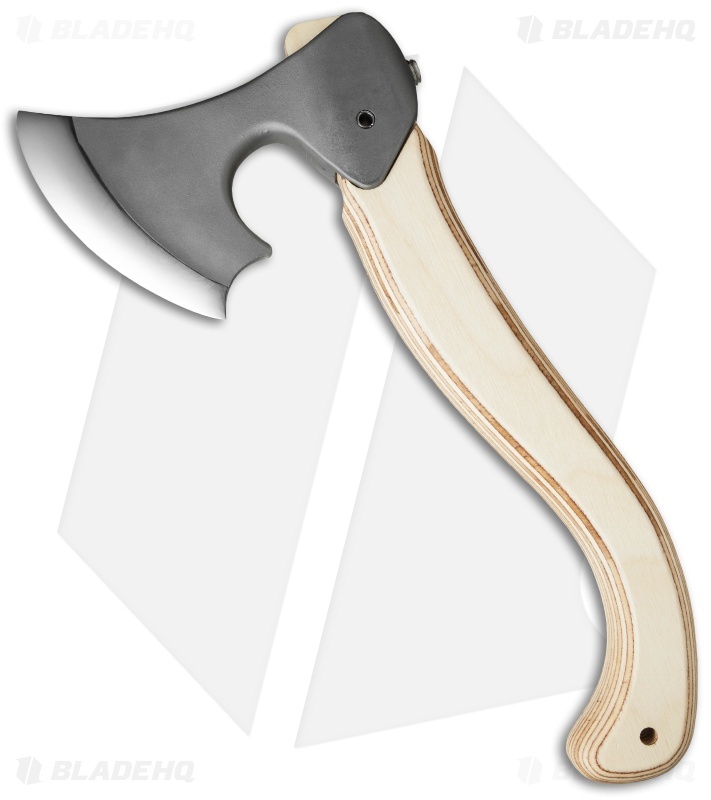 The two-tone finish gives off an impressive appearance that is offset nicely by a naturally finished birch wood handle. A 1/4" roll pin secures the axe head to the wooden handle. 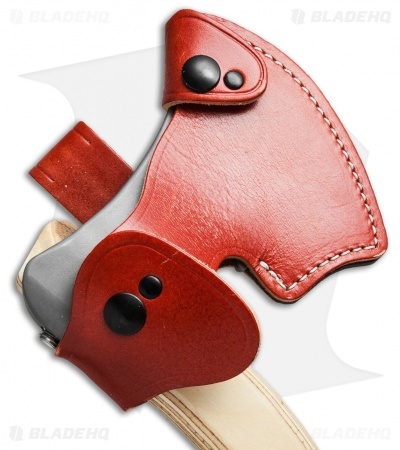 Item comes equipped with a leather swivel sheath with a secure double snap system.